Anorexia Nervosa is a serious eating disorder. It needs to be stated here that it is actually more common than most people think. Needless to say, people with this condition deserve compassion and proper medical care. In most cases, psychological counseling should be made part of the general treatment plan as anorexia provokes a lot of emotional turmoil, along with an array of health issues which may even be fatal. 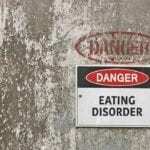 The cause of anorexia nervosa(1) is much more serious and alarming than most people would think. Although anorexia is most distinguished by disordered eating behaviors and rituals, the disease process involves much more than food. It goes beyond excessive dieting. It is ultimately rooted at an obsession with the ‘perfect’ body image and an unhealthy view of food. This guide is not designed to teach you how to become anorexic nervosa. 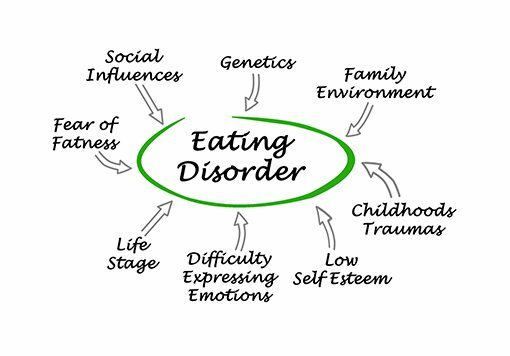 Instead, it provides readers with an easy to understand guide on the eating disorder. It is designed to help you recognize the warning signs of anorexia in yourself and in others. Remember, the sooner a person with anorexia gets the help that he or she needs, the better. What does it mean to be Anorexic? 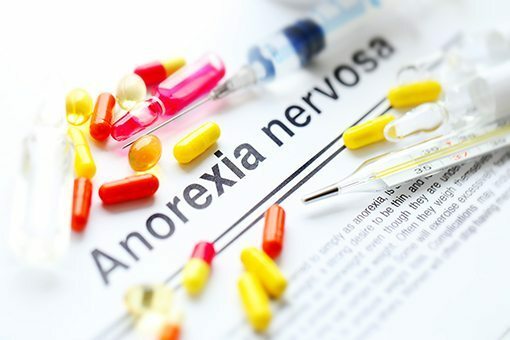 Anorexia nervosa is an eating disorder wherein a person becomes obsessed with their body shape, food intake, and weight to the point of self-imposed starvation. Patients with anorexia nervosa often hinge their self-worth on their ability to reach and maintain a particular weight. Of course, the symptoms of the condition do not appear overnight. Instead, they often develop over an extended period of time, some taking years before the symptoms start to form the pattern. It needs to be stated here that Anorexia can affect both women and men. More often than not, these patients have genetic, emotional, and life-experience predispositions for the condition. 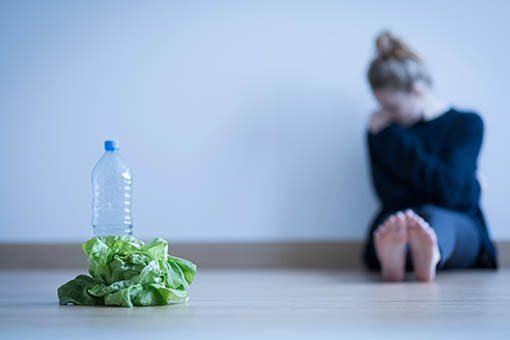 While studies show that Anorexia most often develops among young women in their teenage years, increasing reports cite symptoms of anorexia and other eating disorders like EDNOS in pre-teen girls and boys as well. There is a pattern when it comes to patients with Anorexia nervosa. They appear in two interrelated trends. First, patients usually exhibit a conscious refusal to maintain a healthy body weight that is ideal for a person’s age and height. Second, they often have a heavily distorted self-image. This is made apparent by their obsession with the false belief that he or she is overweight, despite the fact that they are actually severely underweight. Anorexia patients often have the tendency to take extreme measures to not only to continue losing weight but also to prevent any type of weight gain. This is usually done by severely restricting their food intake and exercising excessively. Aside from that, anorexics also regularly purge after eating meals. Conversely, some anorexics would binge eat only to purge immediately afterward. Without properly addressing the problem, anorexia can easily reduce a person to being skeletally thin. In spite of all the evidence pointing to the contrary, anorexics will still perceive themselves as being grossly overweight. It is also worth noting that since they become obsessed with their false self-image, they will also actively resist all efforts to change their unhealthy behavior. Ultimately, however, readers need to understand that the problem with anorexics goes beyond the mere problem of unhealthy eating habits. It can be traced back to their unhealthy self-perception. That being said, the symptoms of anorexia should be understood as an attempt of the patient to cope with their emotions. Maintaining full control over their body and appetite, therefore, becomes pathological. By obsessively restricting themselves, they think that they delude themselves into thinking that they are exhibiting perfectionism and control over their own bodies. 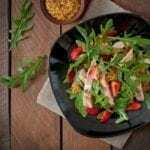 As you may have surmised, most of the early warning signs for anorexia will inevitably center on the patient’s fixation with food and dieting. Their obsessive or compulsive behavior will also appear to be quite apparent, especially when you know exactly what to look for. For instance, you will notice that they would become obsessed with their body size and shape. They would also often refuse to eat. In most cases, they would make excuses or do so under the pretense that they are not hungry. This is despite the fact that they are actually starving or have not eaten all day. Anorexics would also regularly skip meals. When they do eat, you will notice that they have developed strange habits. For instance, anorexics would start weighing food before eating them. They would also start cutting them into tiny pieces and consume very little. They would also go through the trouble of cooking elaborate meals for others but they themselves would refuse to eat. More often than not, anorexics would limit themselves to only eating a few select food types which are usually low in fat and calories. Aside from their strange behavior around food, there are other telltale behaviors that serve as clear warning signs of anorexia nervosa. This includes excessive exercise and constantly complaining about their weight. They become increasingly conscious about their weight, often weighing themselves repeatedly. They would also focus on their perceived flaws. As a result, they would dress differently in an effort to hide their perceived imperfections. Keep in mind that these things will take time to become more obvious. However, as things go from bad to worse, the patient’s eating patterns will eventually become more noticeable. If left untreated, it could easily affect the different aspects of one’s life from one’s relationships with family and friends. Needless to say, their schooling and career could also be severely affected as anorexics will have a hard time concentrating on the tasks at hand. Currently, there is much work that needs to be done in order to better improve our understanding of the causes of anorexia nervosa. However, as far as we know, it involves a complicated interaction of different biological, psychological and social causes. For instance, it has recently been acknowledged by doctors, therapists, and staff at anorexia treatment centers that genetics has a role in the development of anorexia. It just states that one may have a higher risk of anorexia if a person also has a parent suffering from the same condition. Of course, this does not effectively explain everything else surrounding the condition or how the genetic factor interacts with other contributing factors. Aside from that, certain psychological and emotional characteristics can effectively expose some people to the allure of self-starvation. This simply means that their predispositions leave them more susceptible to seeking emotional relief through excessive self-control. 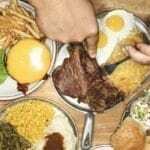 Obsessive or compulsive personality traits, for instance, make it easier to people to resist their hunger and follow excessively strict diet plans. In addition to this, low self-esteem and perfectionism could easily lead to distorted thoughts about the self. Aside from personal medical and psychological factors, cultural influences can also play a role in the development of anorexia nervosa. This is because modern society maintains a constant stream of images that effectively reinforces the importance of being thin, especially for young women. This can be best seen in the way magazines, television, and billboards often portray women. It is easily noticeable how media often makes use of images featuring unrealistically thin models at the center of their campaigns. This relays a questionable message wherein success and worth are equated with one’s thinness. In addition to this, peer pressure may also add fuel to the fire. This is especially true among teen girls and younger patients. As time goes by, their view of anorexic symptoms becomes normalized. All of these create an unrealistic and unhealthy ideal body image. The different factors come together to create this effect, as one’s personal predispositions (medical and psychological) are reinforced and exacerbated by the social factors. Needless to say, this is a pretty bad sign. Readers should understand how serious this can be. After all, a distorted perspective on one’s body image often serves as a precursor to Anorexia. At the same time, it is also one of the condition’s primary features. 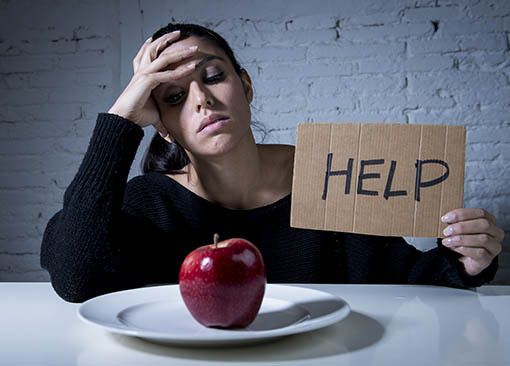 Treatment for anorexia nervosa usually involves a multifaceted approach to the condition. It entails effectively combining psychological therapy and supervising the process of gaining the weight back safely. Needless to say, it is vital for anorexia patients to start treatment as early as possible. Being proactive and doing something early on can significantly reduce the risk of serious complications. Treating anorexia entails bringing in a team of doctors and specialists to help bring the patient back to their ideal health. For instance, you will need to have a counselor specializing in anorexia cases to help the patient through the entire process. Additionally, psychiatrists and psychologists are there to properly assess the psychological well-being of the patient as well as to dig deeper into the issues that fueled the condition in the first place. Finally, the treatment will not be completed without a host of nurses and dietitians to ensure that the patient is getting every bit of nutrition and care they need. The treatment plan itself can vary between cases as circumstances will inevitably vary. That is why it vital that members of this multidisciplinary care team carry out a detailed assessment of the physical, psychological and social needs of the patient before actual treatment starts. This will serve as the basis of the care plan that the team will follow. Most people suffering from anorexia are treated as an outpatient. You have the choice to visit a hospital or a specialist center. Some patients also opt to see individual members of their care team separately. However, for more severe cases, patients may need to be admitted as an inpatient. This means that they will have to stay in the facility as they undergo treatment. If you know someone who has unrealistic and obsessive thoughts about their weight and body image, it would be wise to reach out to them in any way you can. Offering support is important. If you notice the warning signs that we’ve talked about here and feel that a person that you care about is exhibiting signs of anorexia, the best strategy is to talk to the person about your concerns directly. Let them know that you are there for them and that help is readily available. Keep in mind that anorexia is learned. This means that you will also have to do your part to help them unlearn the unhealthy thoughts which have since become normal parts of their cognitive process. Tell them that you are worried about them and show them how important they are to you. Show love, hope, and kindness. Then, offer to help in any way that you can. Let the person know of treatment options available to them. While there may be some initial resistance, you have to understand that this is part of the condition. If you truly care for them, then you cannot give up on them. Let them realize the importance of seeking help. That being said, you should not hesitate to organize an intervention with their loved ones and friends to truly show them the gravity of the situation. This article presented readers with all the basic information they need to know about anorexia nervosa. If you see the signs and symptoms of anorexia in yourself, it is vital that you see a physician as soon as you can. It’s hard to get over this eating disorder alone. Professional help should be your priority as your doctor will be able to point you towards the right services. At the end of the day, you must understand that the road to wellness is a choice you have to make.